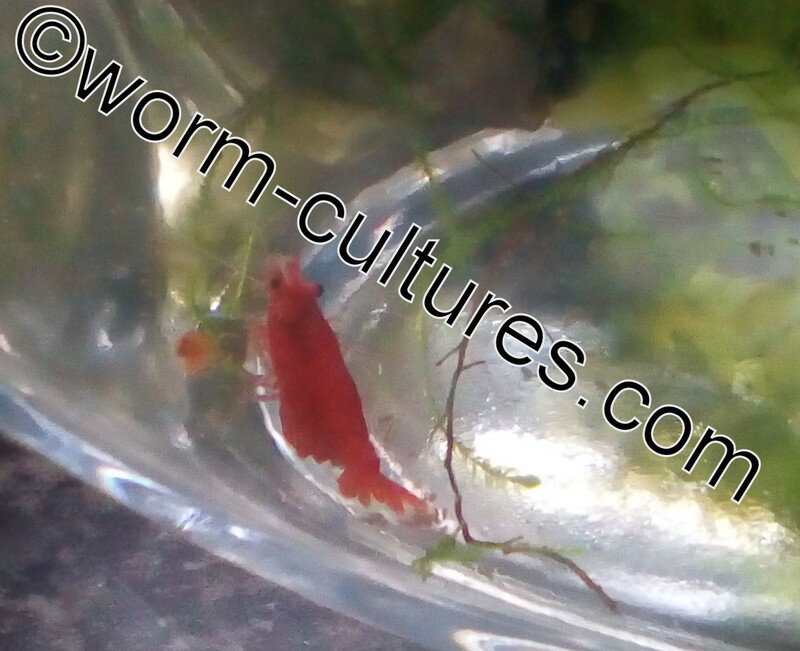 These stunning Cherry Shrimps are tank bred in our own tanks. 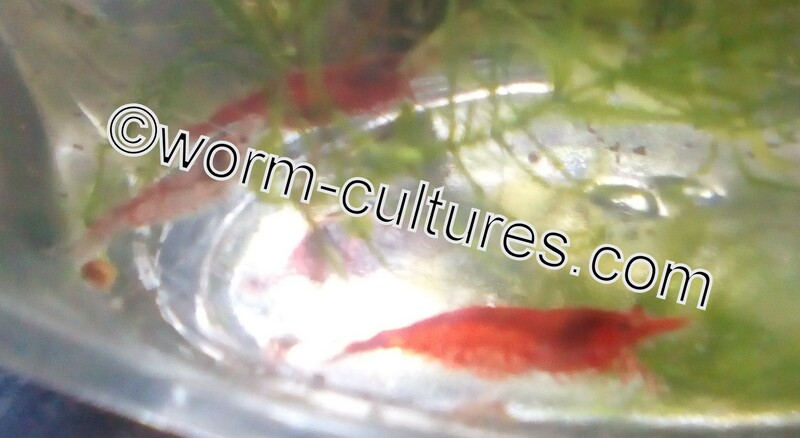 You will receive either 5 or 10 young shrimp at approximately 1cm – 1.5cm total length. We will do our best to send a mix of male and female shrimp. Please be aware the adults in the photo’s are some the parents of the young shrimp you will receive. Also, be aware that they do not achieve full red colour until they are more mature. The males are slightly paler than the females. 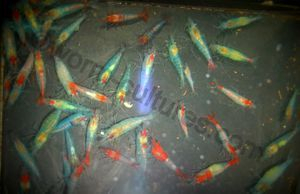 So the young shrimp you will receive, will be paler than the adults in the photos, but will colour up as they mature. We have found that putting our sinkable cuttlefish in all of our tanks has helped with the health and moulting of the shrimp. If you wish, you can purchase some from my other listings. In the very unlikely event that there are any D.O.A’s, then you must send a photo of the shrimp, on a piece of tissue paper or toilet roll, within 30 minutes of receiving the shrimp. When acclimatising the shrimp to your own water, it is advised to use the drip method, of gently adding water. This is to ensure the shrimp are not shocked. We use breather bags for the shrimp. Therefore, if there is a delay in the arrival by post, then they will be fine. I will also put in a few strands of spawning mop for the shrimp to grip during transit. This makes it less stressful for them. I have had Cherry Shrimp in transit for over 3 days, and they ALL arrived alive and active. 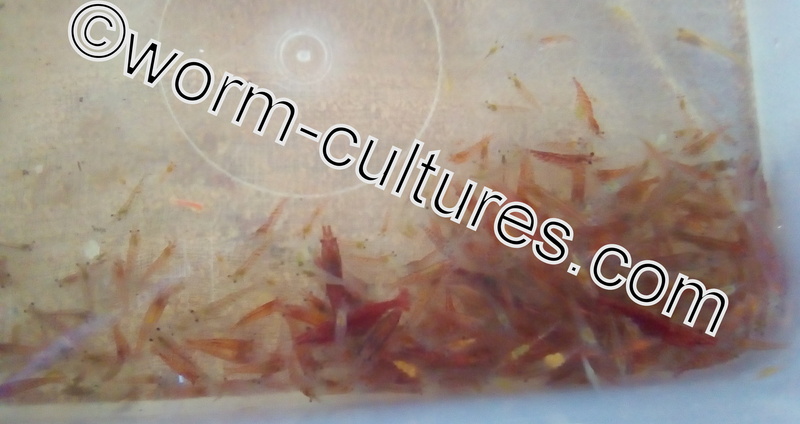 They Cherry Shrimp will also be in a small box, which acts as protection for the shrimp whilst in transit and as it fits through the letterbox, there is no need to wait in for delivery. We will only post Monday to Friday, and only when the weather is warm enough for the shrimp to be in transit. If you have any queries, do not hesitate to contact me, and we will do our best to help.